Extract from Mining in Turton by Peter Harris, Chapter 10, pages 98-100. The Lower Foot Mine has been worked at the surface along much of the west side of Turton Heights, but nothing is recorded about when this occurred or who did the excavating. However there is clear evidence of underground working in the same seam at the south end of the hill in the late nineteenth century. A coal mine on the south west end of Turton Heights known as Cheetham Close Colliery appears in the official lists each year from 1872 until 1885. It was owned by Edmund Ashworth and presumably existed to supply his mill in Egerton with at least some of the necessary coal for the boilers. Unfortunately no plan for this operation seems to have survived either in the official collection or elsewhere and there is no clear indication of the extent of the workings. However the geological map shows the location of three horizontal entrances, close together on Cheetham Close, and makes clear that they provided access into the Lower Foot Mine. Fairly extensive spoil heaps also mark their position on the hillside. 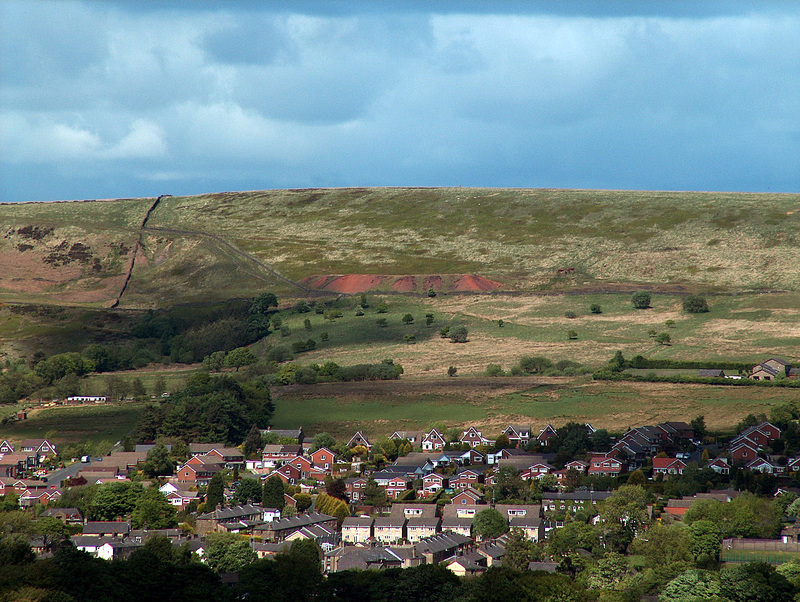 The spoil heaps consist of red shale caused by it being effectively burnt. This happens when colliery waste contains much finely divided coal. As air gets into the heap, the waste coal burns slowly baking the associated shale and turning it to a reddish colour. Gradually the burning zone advances through the heap until all the shale has been baked. The seam is inclined towards the south at a low gradient and the mine entrances, while high on the hillside, are near the lowest part of the seam, which would allow for drainage by gravity alone. 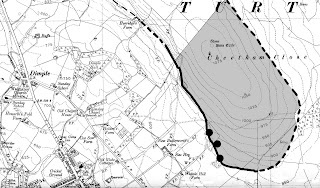 The workings must all have been within the area enclosed by the coal outcrop under Cheetham Close, although how far they extended towards the north west and under Turton Heights is not certain. The colliery was started some time after multiple shafts fell out of favour otherwise a few shafts might have been expected on the top of the hill above the adit entrances. Even so with much of the hilltop little more than 100 feet above the workings it is rather surprising that an air shaft to facilitate ventilation has not revealed itself, but perhaps it was filled and traces of it obliterated long ago. We require these particulars to enable us to post to the separate a/cs. Please note that Shorefield House we have nothing to do with now. were probably confined with (grey).